Murali M | | Blog for Infrastructure Admins – Virtually Anything is Possible !!! Blog for Infrastructure Admins – Virtually Anything is Possible !!! This article provides information on how to access Direct Console User Interface (DCUI) from an SSH session. We may want to access the DCUI if you want to troubleshoot issues and there are no remote management tools available, such as DRAC, iLO to access the ESXi host and for the initial configuration of the Host. Before accessing the DCUI via SSH session, it is important to note that making any changes to network settings may lead to management issues through vCenter Server, vSphere Client or SSH. Networking changes should only be made through a console session (for example through DRAC, iLO, KVM) to avoid host management issues. Changing network settings using this command may make the host unusable and can necessitate a reboot. Press F2 and enter credentials and you are into the Direct Console. This will be really useful to restart the management agents of ESXi host and also to view the system logs who are not aware using command line interface. vCenter Server, ESXi hosts, and other network components are accessed using predetermined TCP and UDP ports.This article provides information on the ports required for VMware products. More detailed information of the ports that are being used in all the VMware Components can be found in the below link. 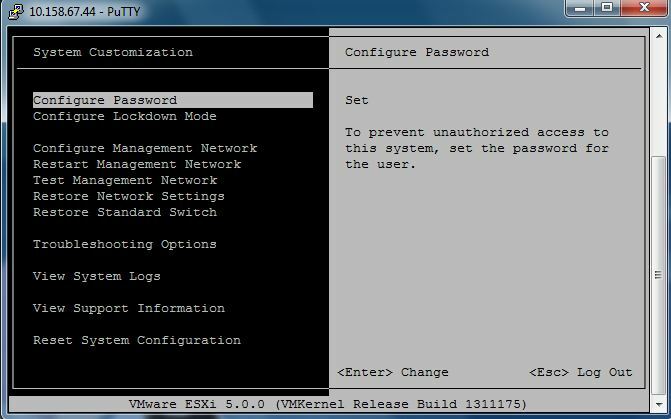 Disable ESXi Shell & SSH warning for ESXi host !!! ESXi shell and SSH are the two command line option mostly used by the VMware Administrators along with PowerCLI. 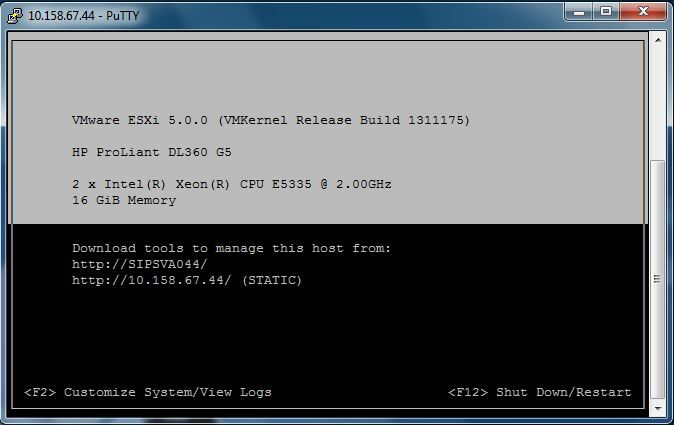 ESXi Shell will be used for setting up the initial configuration of ESXi host and during the time of ESXi host not reachable on the network. SSH is mostly & generally used all the times by administrators. So, We will be enabling ESXi shell and SSH mostly for administrative purposes. But, If you have enable SSH and ESXi shell in your ESXi host. There will be alert always displaying the Configuration Issues (ESXi shell for the host has been enabled and SSH for the host has been enabled) under your ESXi host summary tab. This annoying alert can be removed by simply changing the advanced settings of your ESXi host. Login to your vCenter server or ESXi host using vSphere client. Change the Value of “ UserVars.SuppressShellWarning” = 1 to suppress the warnings . Click on ok. By Default ,value is 0. Configuration issue- “Quick stats on hostname is not up-to-date” – vCenter 5.5. When connecting to VMware vCenter Server 5.5 using the VMware vSphere Client or VMware vSphere Web Client, the Summary tab of the ESXi 5.5 host shows a yellow warning. This issue does not occur if you connect directly to the ESXi host. This is a known issue in vCenter Server 5.5. Select Settings > Advanced Settings. Restart the vCenter Server service. Difference between vCenter Server Appliance 5.5 and vCenter Server 5.5 on Windows OS. vCenter Server Appliance 5.5 is reducing the dependency of Windows operating system for vCenter server Install. With vCSA 5.5 on Embedded database can manage 100 hosts and 3000 Virtual Machines. 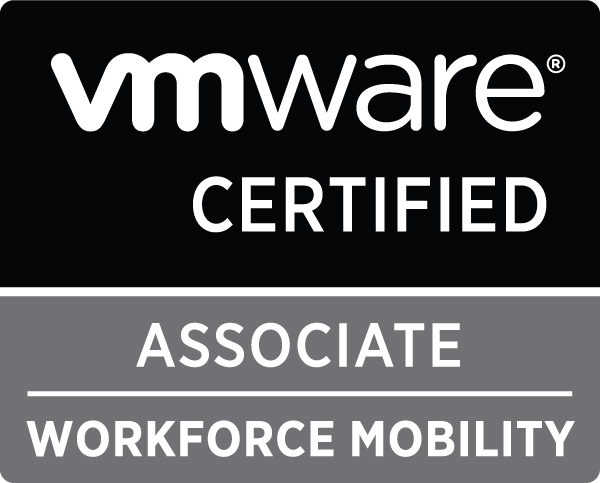 vCSA reduces lot of administrative efforts by reducing efforts needed for windows patching, software update and management of Guest OS on windows operating system. It is necessary to understand the difference between the vCenter Server Appliance 5.5 and vCenter server 5.5 installed on windows Server. OVA template Need to install on top of Windows Operating System. vCenter Server Heartbeat Not Supported vCenter heartbeat is a windows application. 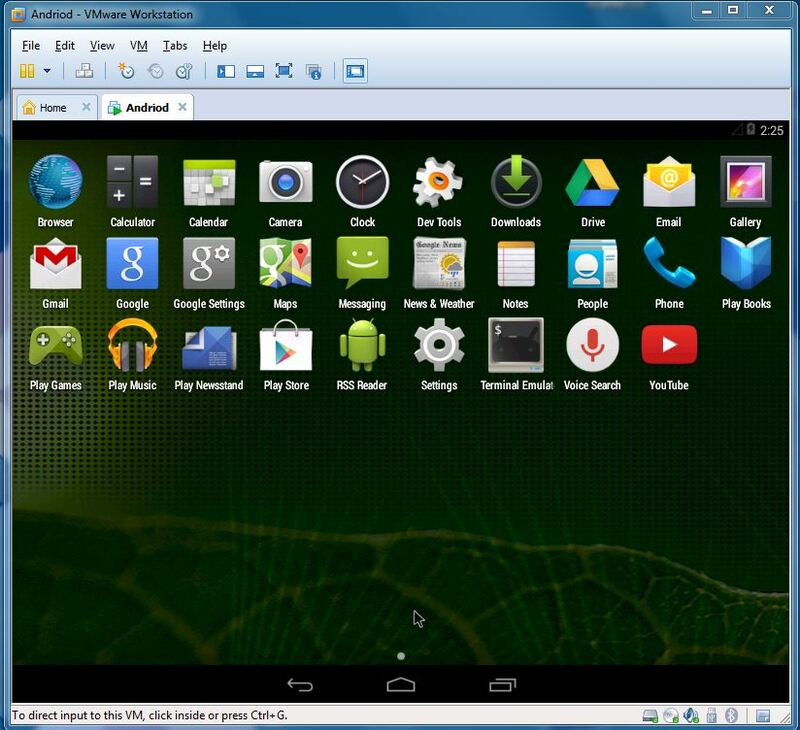 How to install Android – KitKat in VMware Workstation? 2. Then create a new VM via the Wizard and connect the ISO (VM Workstation detects the new VM as FreeBSD). 3. Adjust the hardware of the VM and adjust the Memory. I put mine to 1Gb of RAM as most of today’s phones uses 1 GB of RAM. Click next and use the arrows to go down to select the 4th option – Install Android Kitkat. 4. Select Create or modify partitions. 5. Then create a new, primary partition and write down the changes. 6. Then select this partition to install Android KitKat. 7. Chose EXT3 as file system …. 8. Almost done, just validate the formatting of the media. 9. Validate the Read/Write possibility, otherwise you won’t be able to make any changes to this VM. 10.It asks you if you want to install GRUB as a boot loader. Says YES as without validating you won’t be able to boot up the system. 11. Let the installation Complete…. 12.Then you’ll see a screen which shows you if you to run Android or reboot. You can go either way, but don’t forget to disconnect the ISO file before the next reboot otherwise you’ll start over again! Ok, now you should see the VM booting into a configuration of Android, where you can personalize the system !!!!.. New version of Freeware RVTools 3.6 has just been released. RVtools is a windows .NET 2.0 application which uses the VI SDK to display information about your virtual machines and ESXi hosts. 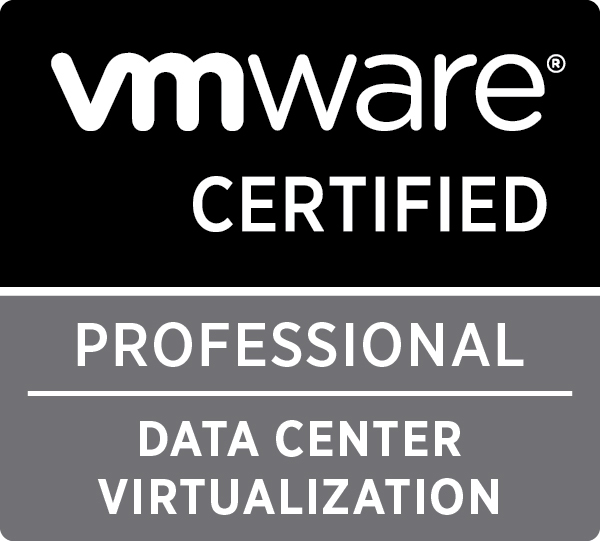 Interacting with vCenter 2.5, ESX Server 3.5, ESX Server 3i, vCenter 4.x, ESX Server 4.x, vCenter 5.0, vCenter Appliance, ESXi 5.0, vCenter 5.1, ESXi 5.1, vCenter 5.5, ESXi 5.5. RVtools is able to list information about VMs, CPU, Memory, Disks, Partitions, Network, Floppy drives, CD drives, Snapshots, VMware tools, Resource pools, Clusters, ESXi hosts, HBA’s, NIC’s, Switches, Ports, Distributed Switches, Distributed Ports, Service consoles, VM Kernels, Datastores, Multipath info and health checks. With RVtools you can disconnect the CD-ROM or floppy drives from the virtual machines and RVtools is able to update the VMware Tools installed inside each virtual machine to the latest version. 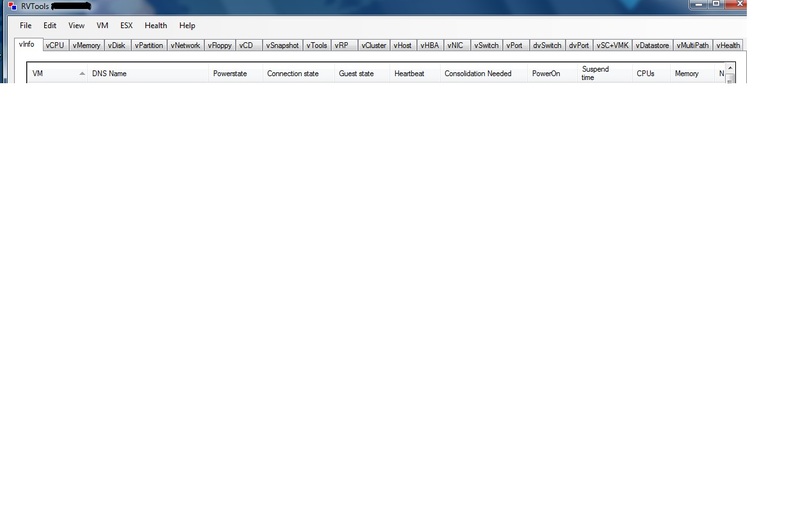 The utility allows to get some huge amount of details in single window application which has different tabs. It is one of the tool that every VMware Admin should have in their machine. VMware’s vSphere 5.5 release has a good number of enhancements and improvements that stretch across the entire stack. This completely new feature in vSphere 5.5 provides a mechanism for utilizing fast SSD as a Linux host swap cache or to provide improved read speed for a host virtual disk. VMware has added a number of improvements at both the VM and hypervisor level to help improve overall latency. At the VM level, this consists of a single setting to indicate to vSphere the sensitivity to latency. For high-sensitivity applications, the underlying hypervisor can do things like bypass the CPU scheduling algorithms and dedicate one or more CPU sockets exclusively to a single VM. Additional actions include reserving memory for latency-sensitive VMs and disabling networking features, such as coalescing and LRO vNIC support for predictable network response. The 2TB limit on VM disks is starting to pinch. With vSphere 5.5, the maximum size for VMDK files increases all the way up to 62TB. Why that particular number, you might ask? VMware settled on something smaller than 64TB to allow room for snapshots and any other required services while staying under a 64TB volume size. Existing VMDK files will have to be offline in order to be expanded. Virtual Hardware 10 adds support for a number of new graphic capabilities — first up, both AMD and Intel GPUs. Included in this update is the ability to vMotion a VM between disparate hardware platforms, including disparate GPU support. In really large data centers, it can be a challenge to identify the appropriate class of storage for a specific purpose. For Example, you can create a new VM Storage Policy with the name Print Server being. This creates a new policy that can be applied to all new virtual machines needing storage for a print server, making storage provisioning much simpler. LACP (Link Aggregation Control Protocol) allows you to aggregate the bandwidth of multiple physical NICs. Whereas vSphere 5.1 supported only one LACP group per distributed switch, severely limiting your aggregation options, vSphere 5.5 supports up to 64. Plus, you can now save LACP configurations as templates to use on other hosts, and you can draw on 22 different hashing algorithms to distribute load across links. Sometimes it becomes necessary to capture the packets going across the network to track down a problem. The latest version of vSphere includes an enhanced version of the open source packet analyzer tcpdump and a number of options for mirroring ports to capture traffic in a variety of places. You can capture packets from virtual NICs, virtual switches, and uplinks at the host level as well. The vSphere Web Client has seen a number of enhancements in this release. Many reflect user feedback, such as the “10 most recent objects” list shown in the screenshot. Other improvements to the user experience include the new drag-and-drop support and the ability to filter search results for large installations. What’s new in vSphere 5.5 !! There’s a lot that’s new in this release, and they’ve addressed many of the vSphere 5.1 SSO issues. So if you skipped vSphere 5.1 for production environments, then get ready for the vSphere 5.5. SSO: Improved user experience. SSO no longer requires SQL database. VMware High Availability & High availability: What’s the difference? When marketing and virtualization collide, the result can foster confusion, especially when similar terms are used to describe both a general technology and a specific product. In general IT terms, high availability refers to a system or strategy whose primary goal is to maintain up-time. Then there’s VMware High Availability (HA), a specific technology in vSphere that automatically restarts a virtual machine (VM) in the event of a hardware or software failure. Defining what exactly constitutes high availability can be subjective. The general consensus is high availability is achieved when a system has up-time of 99.999% — a total of 5.39 minutes of downtime, either by design or by accident, over the course of a year. This vaunted “five nines” of availability typically means certain measures have been implemented to construct a near-bulletproof system. VMware HA, introduced in 2006, works when several hosts and their respective VMs are placed in a cluster. One host, which is selected as the master host, monitors the network heartbeats of the other hosts in the cluster to detect any downtime. If the master host finds another host in the cluster is not responding, or if the VMs on a host power off, the master host will restart those VMs on another host in the cluster. Systems using VMware HA are reactive and will experience some downtime following the failure of a host or an application before the VMs are restarted. System administrators who need to keep business-critical applications running without interruption should consider VMware Fault Tolerance (FT), a high-availability feature introduced in 2009. A system with FT enabled has identical VMs running on separate host servers; if the primary host server fails, the virtual machine will continue to run without interruption on the secondary server. Blog for Infrastructure Admins - Virtually Anything is Possible !! !